Development, Production and Service – in order to provide you with ideal solutions, our performance areas are perfectly synchronized to suit each other’s needs. This is achieved through the close connection to our subsidiary, SI Module, in a state-of-the-art location. M10 Industries stands for optimization of soldering technology for crystalline solar cells – with a concrete objective: we want to make increased efficiency possible for you by means of maximum performance levels. A team consisting of highly qualified engineers and experienced technicians takes care of construction and programming. From the very beginning, an important factor is the pursuit of optimal maintenance and service prospects. KUBUS, the most recent generation of machines, is continuing the tradition of great solar innovations and opens up new opportunities for your business on the global market. As the only multi-stringer worldwide, KUBUS has an enormous productivity of 5,500 cells per hour. This means that M10 is the first machine manufacturer that has managed to introduce industrial standards to the solar sector. 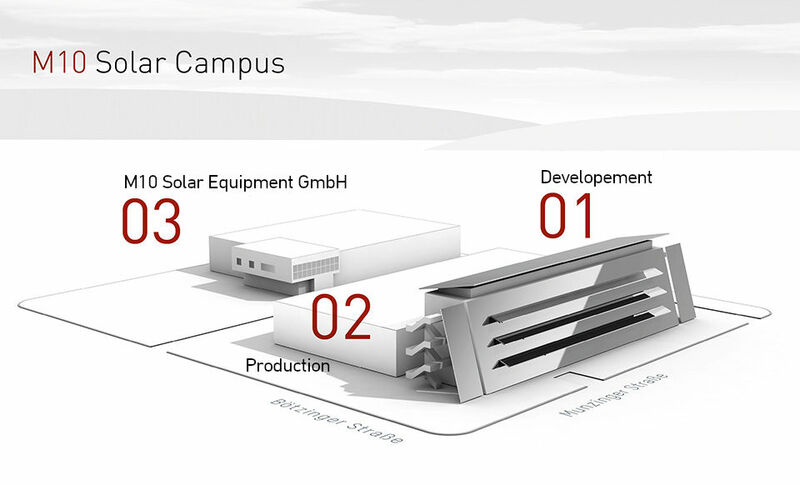 Many years of experience in systems engineering and all-round expertise knowledge of the manufacture of premium modules create a state-of-the-art technology center: SI Module produces premium quality photovoltaic modules on KUBUS, the newest generation of stringers. Tests and training can be carried out here, under real-life production conditions, and service or maintenance processes, which take place at other facilities, can be monitored at the same time. For you, the international KUBUS customer, this means: highly qualified technicians, who are very familiar with your system, can switch live to your facility at any time.